Create a global academic footprint for your work and your career. Great keynote speakers, international draw, quick turnaround on submitted abstracts, invitation letter to show your administration and help gain support. Last year 120+ attendees and 84+ papers. Join us for year two. The conference begins with registration at 1200 11 April 2008. The conference ends with the closing ceremony at 1500 13 April 2008. 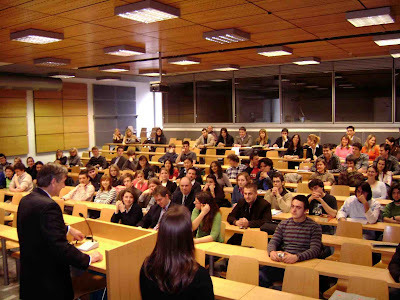 The conference sessions will be held on the beautiful campus of the University of Ljubljana Faculty of Administration. The conference will generate a proceedings volume in the form of a book with completed papers. Submissions will be selected from the papers available at the conference. Argumentation and rhetoric. The study of the use of logic and reason to criticize and analyze ideas through communication is important to our world. Those interested in research on argumentation theory, criticisms of communication acts and scholarship on argumentation practice are encouraged to submit to this division. Debate. The use of formal argumentation forums and debating to educate and empower citizens is a growing movement throughout the world. Those interested in work on the practice and theory of debate competition, public debates, research on the impact of debate for participants, and theorizing about debate paradigms are encouraged to submit to this division. Critical thinking/pedagogy. Teaching and the methodology of teaching in the active classroom is an extremely important field. Those interested in using debate, discussion and argumentation in classrooms, discussion of experiences and teaching lessons relating to communication and critical thinking are encouraged to submit to this division. Argumentation - Frans van Eemeren, University of Amsterdam. Frans van Eemeren, perhaps the most noted argumentation scholar in the world, has agreed to be the keynote speaker in argumentation at the 2008 conference. Professor van Eemeren will also serve on the argumentation evaluation committee along with David Williams of Florida Atlantic University will also be on that committee. Debate - Omar Salahuddin bin Abdullah, MultiMedia Univerity, Malaysia. Recognized as the "father of Asian debating" and recent winner of the first distinguished service award by the World Universities Debating Championship, Dr. Salahuddin has agreed to be our keynote speaker. Pedagogy - Kate Shuster, Claremont Graduate School, USA. Kate Shuster has been a worldwide leader in understanding and applying active methods in the classroom at various levels. One of her areas of emphasis has been oral literacy and how it can be successfully taught. Kate has eight recent books to her credit and a number of important works in submission. She is perhaps best known for her efforts to promote debating and critical thinking in middle schools. Format for papers will be that of the Modern Language Association. For information, see http://www.docstyles.com/mlacrib.htm . You can download a copy of the guidelines at http://debate.uvm.edu/dcpdf/mlacrib.pdf . The Conference will be held on the beautiful campus of the University of Ljubljana Faculty of Administration. The participation fee is 65 Euros and covers the conference sessions, reception, coffee breaks and materials as well as a banquet. The participants will be accommodated in different locations in Ljubljana, depending on the budget option they choose. 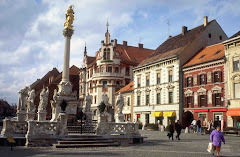 There are different accommodations possible, from low cost high school dormitory to moderate hotels in Ljubljana to the best hotels in Ljubljana. Low cost accommodations must register through Bojana Skrt, while all others must be booked by the attendees. We will be supplying a list of suggested hotels soon. The conference is a non-profit project and all organizers are unpaid. The participation fee is designed to cover costs only. Please note that registration for admission to the conference and low cost housing must be coordinated through Bojana Skrt bojana.skrt@siol.net. Registration deadline is 15 March 2008. The payment for the participation fee should be transferred to ZIP bank account by March 15 2008 or in cash on arrival. All inquires about application, payment and other information should be sent to Bojana Skrt at bojana.skrt@siol.net. Travel to Ljubljana is possible through many forms. Regular air service from most European cities is available, including on a number of discount airlines such as Easyjet. Train and bus service is convenient with arrivals at the city center. We will not be arranging pick ups from arrival points because it is quite easy. We will be publishing low cost options for airport pick up.